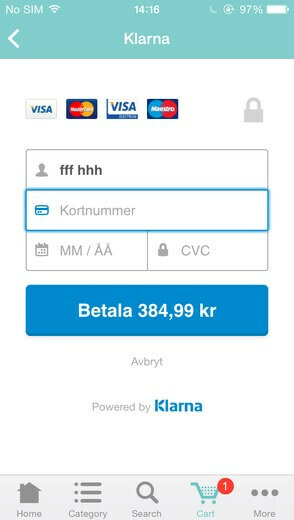 The Klarna Checkout feature simplifies your customers' checkout process on mobile shopping apps with all major popular payment methods. Accounting for 10% e-commerce market share in Northern Europe, Klarna is becoming one of the leading payment providers in Europe. It has becone one of the leading payment providers in Europe when helping millions of customers make purchases with simple and secure checkout steps. It also helps thousands of merchants find an integrated solution that includes all major payment methods. 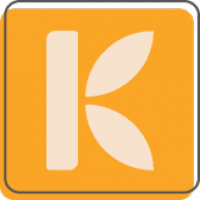 Therefore, supporting Klarna now becomes a must-have feature for many mobilde shopping apps, including SimiCart. Our exclusive payment feature, Klarna Checkout, allows you to establish a connection between you m-commerce apps and Klarna, which helps your customers make purchases with Klarna direclty and conveniently on mobile. With our Klarna checkout feature, what will you get?